Alli is a unique product and it is a category of its own. 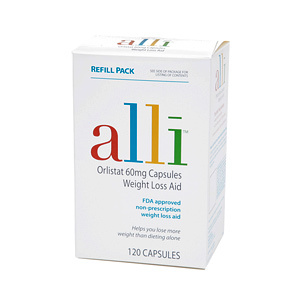 Alli is a non-prescription diet pill, but at the same time it has been granted approval by the FDA. The FDA (Food and Drugs Administration) is the American counterpart of the UK MHRA (Medicines and Healthcare Regulatory Authority). Both organizations try to ensure that public health is protected, and that all medicines and similar health products, which people buy to improve their health and well-being, are acceptably safe and beneficial. Drugs, slimming products and food supplements usually belong to the following two categories. The first comprises the drugs, whose ingredients are pharmaceutically manufactured chemical substances. These products require FDA approval before they enter the market. In the second category belong products which contain only natural substances, usually extracts from herbs and plants, and these products do not need approval. They are sold over the counter and no prescription is needed. 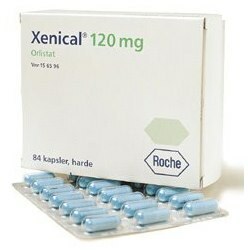 Orlistat is a powerful drug, widely used against severe obesity cases, which prevents the absorption of fats reducing this way the daily intake of calories. Alli has exactly the same properties as Orlistat but it contains a lesser quantity of its active ingredients, so it is allowed to be marketed as an over-the-counter drug. Alli is produced by GlaxoSmithKline and is now available in the UK market. GlaxoSmithKline promotes Alli in the best possible way, and with every bottle of pills consumers buy, they offer a diet and exercise programme which, they claim, will enhance Alli results. This programme is not something unique or extraordinary, and even if you don’t get it along with Alli, you can find a great number of similar healthy diet and exercise regimes absolutely free on the Internet. As we mentioned above, Alli works by preventing the fats we consume from being absorbed by the digestive system. These blocked fats remain undigested, go through the stomach, and then leave the body through bowel movements. FDA approved and clinically tested, Alli is certainly effective. 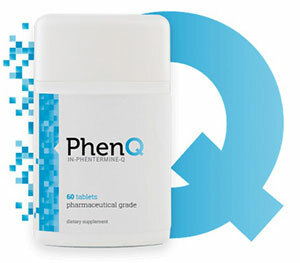 It will help your body lose some of its excess fat and make you feel lighter and healthier. Apart from its really unpleasant and sometimes embarrassing side effects, Alli could be an acceptable solution to losing a few extra pounds. The longer you are able to stand the inconvenience of the above mentioned side effects, the more fat you will be able to lose. What About Better More Effective Alternatives? Over the years, it has been proved that multi action diet products are the most effective non-prescription diet products you can use in your battle against excessive weight.